The Directors' Suite, also known as "Top of the Park," is our most exclusive and unique area for special events because of its spectacular scenic view and its versatility to accommodate different group sizes anywhere from 50 to 200 guests. The Directors’ Suite is located on the 4th level of the main building and it encompasses an inside seating area that can accommodate up to 60 guests and a rooftop covered patio that can accommodate up to 150 guests. 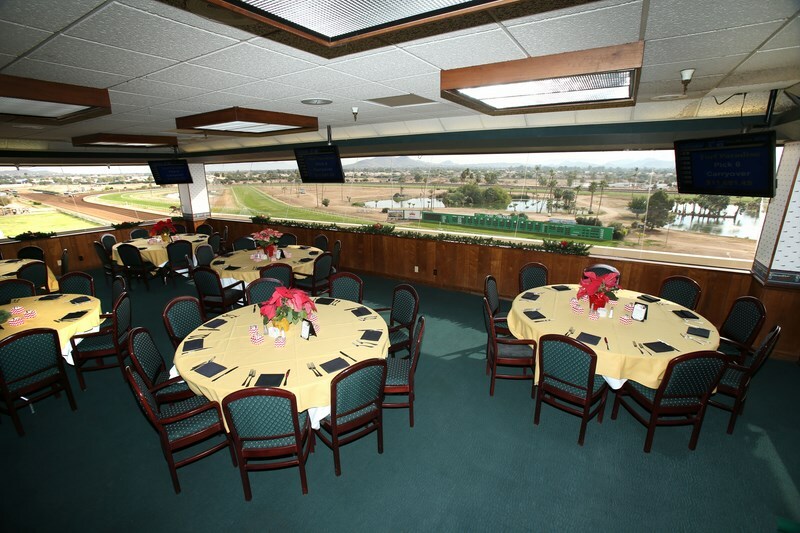 The suite offers private mutuel betting windows, full service bar and conveniently located restroom facilities. The Directors’ Suite can be reserved by calling our Group Sales department at 602-375-6478.